You know what they say: if you talk the talk, you have to walk the walk. Which is why I just revamped my website! Arguably, your website is the centerpiece of all of your digital marketing efforts. It’s far, far more than an online billboard. Your social media, your email campaigns, and all of your landing pages will lead your audience to your main website. That’s why it needs to be as polished and professional as possible. One of the most important services that we offer here at Jennie Lyon Virtual Assistant Services is website auditing. When we audit a client’s website, we leave no stone unturned. From the webcopy, to the graphics, to the layout, to even the color scheme, we go through everything to give you an honest assessment of the effectiveness of your website. This can often be painful for clients to hear. Many of them paid good money to get their websites built for them years ago, but today they might be terribly out-of-date. We are never mean, but we are always very, very honest about what needs to be done. My new JLVAS website is live! I invite you to take a free tour! Your homepage should be a microcosm of the entire website. It should have engaging web copy that greets your visitors, lots of colorful and engaging graphics, and a clean and straightforward layout that people will instinctively be able to understand. Let’s use mine as an example. At the very top left-hand corner, you should prominently have your business or organization’s logo. Beside it, you want a logical navigation bar that will allow the visitor to visit all of the pages on your site. Also at the top should be your social media links and contact info. With my site, it starts with a personal greeting. I believe in building a strong connection with my clients, and it all begins with a welcome. Then, we have a strong call-to-action by offering them a free consultation. 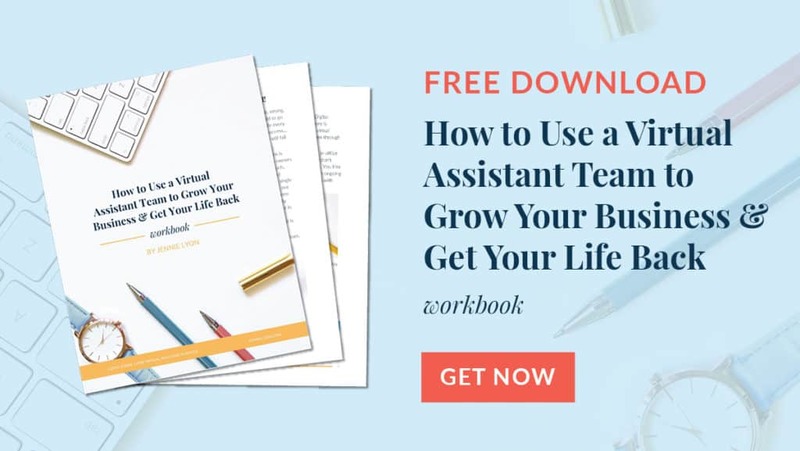 I then offer the visitor a free workbook that will help show them exactly how they can benefit from working with a virtual assistant. It’s important to provide your clients with free, quality content to provide them with value even before they engage your services. Next, I have all of my services list. Although the visitor could just go up to the navbar at the top to get to these services, this way is much more visually engaging, combining both graphics and text. This motif continues further down as I break down all of the reasons why the visitor to the site should work with me in a visually engaging way. Starting to wrap things up, I show off some of the major companies that I have worked with and testimonials from some of my amazing clients, providing the visitor with proof that I can hold up my end of the bargain. And to finish off the homepage, we have my blog, proving that I am an expert in my field. It provided them with yet more free content at the bottom. Every single homepage should do all of this! Take a look at yours to figure out if it accomplishes the above list. If not, it might be time to look at a redesign. The “About” section is an absolutely vital part of your website. It is where the visitor can get to know a bit about you to see where you’re coming from. On my site, there are three parts of the About section. First is my bio, where I talk all about my life and what brought me to the virtual assistant business. We then move onto press and magazine stories featuring me and my business. Finally, I mention that we are currently hiring new virtual assistants. The next part is my “Services” section, and it is extensive. Let’s take a look at “Content Marketing” to see how it’s laid out. First, I ask some questions about the visitor’s content marketing, then lay out in point form exactly what services we offer. Then I once again offer a call-to-action for a free consultation. Then we are onto the “meat” of the page, where I talk about what content marketing is and why is so important. At the bottom, I tell the visitor exactly how we can help them with their content marketing needs, then offer them a free consultation again. If they want more details, they can click on the drop-down menu to see all of the content marketing services that we offer. All of your services pages should do something very similar to mine. A services page should draw visitors in with questions, provide them with solutions, break down what those solutions are, and then offer to help them with their problem. The next few sections of the site are a little less elaborate but no less important. The “Reviews” sections have all of my testimonials from clients. Testimonials are incredibly important because people tend to trust third-party options. After this is my “Portfolio”, where the visitor can see examples of my work so they can get an idea of the quality of the products and services they will be receiving. Next is my “Shop,” which includes a fully-integrated eCommerce solution. 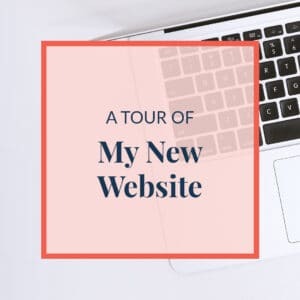 Next is my “Blog.” I have many, many years worth of blogs in my archives, making it a remarkably valuable resource for anyone who wants to get a better handle on their small business (Plus it’s useful for extensive social media marketing). Finally, we have “Contact,” where I tell the visitor exactly how they can get in contact with me, whether they are looking for a free consult or if they are already a client. Let’s take a close look at my brand-new JLVAS website and break down why it’s an effective design! Here is the thing about building a website: it’s stressful. Super stressful. Like, I had fully sleepless nights worrying about the site, trying to get everything perfect, worrying about when I would get it launched, etc. When you are taking care of everything, everything will weigh you down. In fact, let me do you a favor, download my free workbook that walks you through writing your business plan! If you do anything before digging into a huge project like a new website or website redesign, writing your business plan is it! If you would like to get in contact with me so we can discuss how I can modernize and punch up your website, I would be delighted to give you a free consultation (if you haven’t already figured that out)! Just contact me today, and we can get started building a website that will draw in both new and old clients alike!